Indonesia is home to 260 million people and one of the fastest growing pharmaceutical markets in Asia. In a survey done by Global Data, Indonesia’s pharmaceutical market is ranked the largest market in the ASEAN regions, with the market value expected to hit IDR 141.6 billion (USD 10.11 billion) by 2021. Growth in the pharmaceutical industry is expected to reach 12-13 per cent per annum. The pharmaceutical market is worth IDR 84 trillion (USD 6 billion) and is claimed to reach $10.11 billion by 2021. Over-the-counter (OTC) pharmaceuticals amount to IDR 48.8 trillion (USD 3,483 million) in 2018. It is expected to grow by 1.3 per cent per year (CAGR 2018-2021). For OTC pharmaceutical, per person revenues of IDR 183,250 (USD 13.08) are generated, in relation to total population figures. The Indonesian Pharmacists Association reported that about 95 per cent of raw material for medicine is imported. Foreign ownership of pharmaceutical firms has increased from 75 to 100 per cent. Indonesia is home to more than 30,000 medicinal plants out of the 40,000 globally known medicinal plants. The program “Jaminan Kesehatan Nasional” (JKN), also known as Universal Health Coverage Scheme in Indonesia, is one of the reasons program Indonesia’s pharmaceutical market has been improving since 2016. This program aims to cover more than 260 million Indonesians to make sure all Indonesians own healthcare insurance by January 2019. The unbranded generic market is estimated at IDR 8.7 trillion (USD 619 million), contributing to 10.8 per cent of the pharmaceutical market share. This amount is expected to hike as with the introduction of JKN and Indonesian’s increasing reliance on this program. There are now more than 210 drug manufacturers, of which 70 per cent are domestic, according to the Ministry of Health of the Republic of Indonesia (MOHRI). The ownership restrictions have been eased and as stated in the Negative Investment List (NIL). With this favourable government regulation, foreign firms can now own 100 per cent partnership which was previously 75 per cent. As a result, it is highly positive that direct investments in the pharmaceutical sector are expected to reach IDR 277.4 trillion (USD 19.8 billion) during 2015-2025. Pharmaceutical spending per capita in Indonesia is increasing rapidly. Historically, Indonesia has had one of the lowest rates of drug consumption in Asia. However for now, just for the OTC pharmaceutical, per person revenues have increased significantly to IDR 183,250 (USD 13.08), in relation to total population figures. As per capita income expected to increase over the next decade, Indonesians will be spending more on healthcare. The surge of chronic illnesses and the growing spending power of the middle class are also critical factors that contribute to a greater demand for drugs medications. By 2022, Indonesian total healthcare spending will balloon to IDR 277.4 trillion (USD 47.1 billion). As a side note, also halal pharmaceutical products must be registered otherwise will become non-halal. Get to know more here. Expansion of product range and increase in demand for generic drugs are the key factors driving growth in Indonesia pharmaceutical market. Nearly 75 per cent of Indonesia’s drug needs are met by domestic companies. Foreign companies make up the remaining 25%. Kalbe Pharma — Indonesia’s largest domestic drug manufacturer — holds a 15 per cent share of the market. Together, Bayer, Pfizer, and GlaxoSmithKline take 8 per cent of the market size. 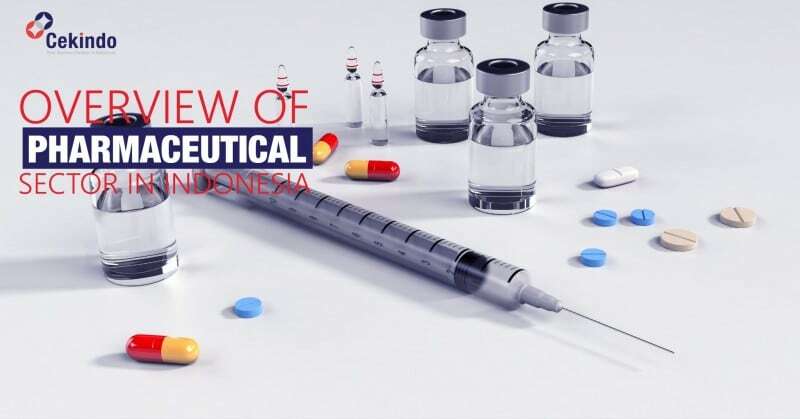 In term of raw materials, however, about 95% of the ingredients for drugs and medicines in Indonesia are still imported, according to Indonesian Pharmacists Association. As mentioned earlier, in order to encourage more rapid foreign investments in the pharmaceutical sector, the government modified the law with the previous partially foreign ownership to the current 100% full foreign-ownership. As a result, at the beginning of 2017, several multinational pharmaceutical manufacturers have been eagerly developing factories in this sector, especially for raw materials. These companies leverage the substantial resources in Indonesia, seeing the high prospect that Indonesia is home to about 30,000 medicinal and herbal plants out of the 40,000 globally known ones. One thing for sure is that all these opportunities will give another strong boost to the pharmaceutical sector that is already flourishing. There are no more rooms for foreign investments in pharmaceutical industry, particularly the upstream industry after the government made changes to loosen the restrictions for foreign investments. Cekindo can help you register your pharmaceutical products in Indonesia. Fill in the form and get in touch with us now.